What’s a VPN Kill Switch Feature? While a VPN is an excellent tool which encrypts and anonymizes the traffic, it’s not 100% reliable. The main reason - VPN software behavior in case of dropped connections. Dropped connection with the VPN server can leave IP address and transferred traffic exposed. In most disconnection cases, users don’t know that their VPN connections are not working anymore. In case of dropped connection traffic becomes not-encrypted and insecure. Internet traffic becomes visible for government agencies and ISP. So, what does Internet Kill Switch mean? Internet Kill Switch, also known as VPN Kill Switch blocks all outgoing and incoming traffic if internet connection drops for any reason. 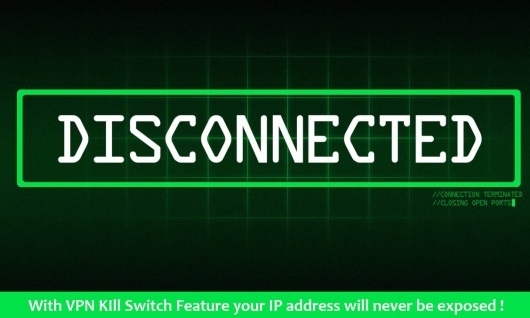 The Kill Switch is a special part of software that is frequently monitoring VPN internet connection for any change of IP address. If your VPN connection drops by any reason, the change of IP address happens. In this case, Kill Switch feature will block your computer from connection to internet until the VPN connection is active again. So, your data and IP address will never be exposed by your ISP or government agencies. This feature is extremely important for BitTorrent users and torrents’ fans because BitTorrent users don’t want their identity and IP address exposed to ISP or government agencies. According to Trust.Zone, Kill Switch feature is a must-have for users who leave BitTorrent clients running while they are away from their computers and also use VPN to hide their identities. 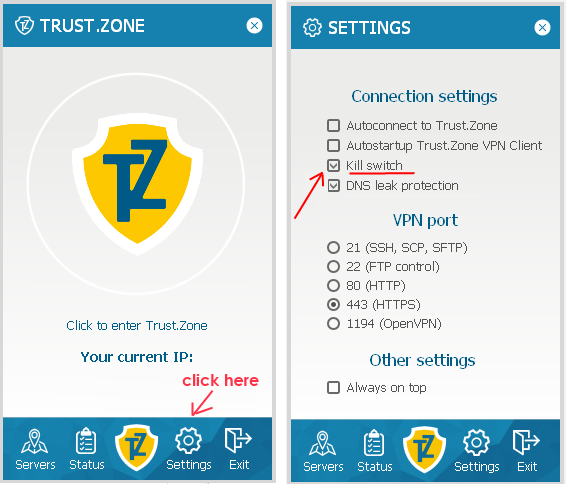 Trust.Zone VPN provides windows users with a Kill Switch feature for its VPN software. While you are using a Trust.Zone VPN, a Kill Switch feature is enabled in Trust.Zone Client for Windows. With the Trust.Zone VPN Kill Switch you will not keep downloading files while connection drops. Trust.Zone VPN with an enabled Kill Switch feature is available for free. If you want to use a VPN from three computers at the same time then paid subscription could be the best choice (starts from 2.99/mo). Protect your identity with Kill Switch Feature while browsing the web! Need 70% OFF PROMO CODE? Get it here!